For our family, the sure sign that Christmas was coming was when the very first batch of shortbread cookies appeared at Grandma’s! And of course it wouldn’t be the last. 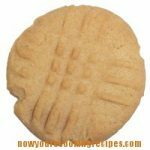 I guess this is the classic Cornish shortbread recipe, the brown sugar is different than most recipes, and I think it makes them taste better. We always used margarine at home every day, so I had to convince Mom to buy butter once a year for the Christmas baking. 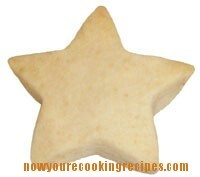 You can’t use anything but butter to make shortbread cookies. 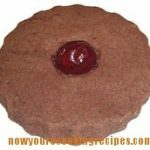 If you want them to be fancy decorate the top of each cookie with a piece of cherry before baking. Bring butter to room temperature. Preheat oven to 300 degrees F.
Cream the butter until it is the consistency of whipped cream. Beat in the sugar. Add salt. Add flour in 4 portions, mixing until combined. Turn out onto a floured board and pat or roll to ¼ to ½ inch thick. Cut into shape desired with a cookie cutter. 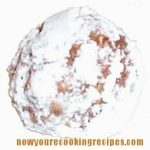 Place on an ungreased cookie sheet and bake for about 20 minutes, or until lightly browned.